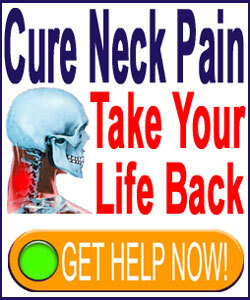 TENS for neck pain is a very popular treatment option which can be used at home or in a professional care situation. 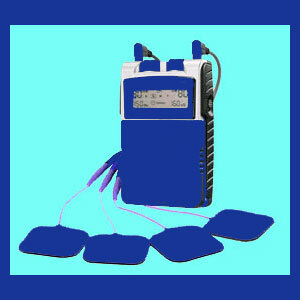 TENS is a common add-on therapy to chiropractic, massage and physical therapy in a doctor’s office. TENS stands for transcutaneous electronic nerve stimulation and consists of electrical pulses delivered into the painful region by adhesive pads. In essence, TENS is a form of electrical transdermal pain management. TENS does not require a prescription and many home-use devices are marketed to patients without a doctor’s supervision. TENS remains a highly controversial therapy since there are few objective studies which definitively prove any benefits, except by the possible power of placebo. That being said, a huge number of back and neck pain sufferers still swear that TENS is the best thing they have tried to combat chronic symptoms. TENS units come in a staggering number of varieties. There are large and extremely expensive professional care systems, as well as battery operated dollar-store home remedy products. Obviously, patients should shop selectively when considering purchasing a TENS unit for home use. It is not necessary to buy the most expensive device, but avoiding the low end units is usually a very good idea. Many are nothing more than toys. Even some very expensive products are not effective, so consumers must read reviews and research any product in detail prior to purchase. TIP: Never trust reviews on the manufacturer’s own websites. These are often written by the manufacturer themselves. Instead, look to verified independent sources of reviews. Doctors and therapists who are interested in adding TENS to their list of offered services should always purchase quality professional-grade products which will provide the best chance for helping patients, as well as withstand the trials of constant use in an office setting. TENS is indicated for almost any type of painful symptoms. It is used as a purely symptomatic therapy, which means that it has absolutely no chance of curing the underlying causative condition, but may help to relieve pain temporarily. TENS is supposed to work by disrupting the electrical signals carried by nerve fibers in the body. TENS pulses provide a type of anatomical interference which disallows pain signals sent by the affected area from reaching the brain and registering. As far as treatment results go, opinions are mixed. Some patients find these treatments to be a complete waste of time and money, while others find them to be very soothing and truly effectual for minimizing symptoms during and shortly after the therapy is used. Of course, many opinions fall in between these two extremes. Personally, I find TENS to be very unpleasant, uncomfortable and ineffective for providing even a tiny bit of relief from my own chronic pain, but I still recommend it as an option to investigate, since it does not rely on drugs or surgery. TENS is one of the most widely used of all back and neck pain treatments. It has been almost universally embraced by the medical and complementary medical communities, since it is inexpensive to offer and can make a medical office a tremendous amount of money. TENS is one of the most profitable devices a doctor can purchase. Never discount the motivation of some profit-driven service providers who push TENS for purely financial gains. I see this all the time. If you are a patient looking for an alternative method of pain management, then TENS may be worth a look. It is non-pharmaceutical, making it almost risk-free for indicated patients. It is nonsurgical and may even provide moderate to substantial pain management when used regularly. Best of all, patients can invest in their own units to take home and treat pain whenever they require some help. TENS units are also integrated into some types of neck braces and can be purchased for on-the-go use anywhere. I do not personally like the treatment or endorse it, but I have seen enough evidence that it works to suggest it to many patients for their further research considerations. If you try it, I would love to hear your experiences. Feel free to share them on the social media pages.